Reading through the prophets you come across a long list of the sins of God’s people, a people who are called to be set apart from their neighbors, who are supposed to be a holy nation. To me, this one stands out among the rest. They have not only been guilty of evil, but they have done their evil in the house of God. They have built up Topheth for a horrifying practice, sacrificing their sons and daughters. These “sons of Judah” have sacrificed their own flesh in pagan practices by throwing their children into the flames. 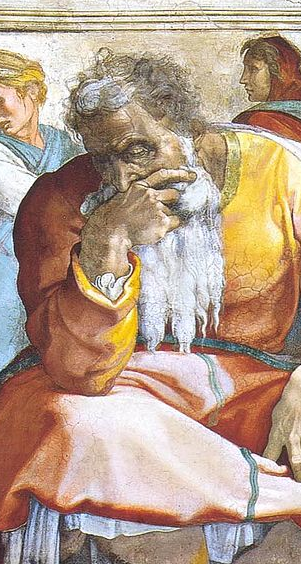 Michelangelo’s depiction of Jeremiah from the Sistine Chapel. How much sorrow must this cause our God? He has many times seen his people turn away from him, which causes him grief. But here the sin of the parents is to destroy their own children.  Judah is taking the lives of God’s people and in so doing, upending the promises of God. They are no longer cherishing the promise of God to Abraham and his descendants. Instead they cast the promised children into this Valley of Slaughter. God promised Abraham offspring so numerous they’d be impossible to count and Abraham longed for a child. Children were an honor and a blessing. But here in Jeremiah as descendants of Abraham receive this promise, they mock God and his promises. It is evil in God’s sight as they slaughter their own kin–something so far from God’s mind. This is a clear reason why Jeremiah comes to preach judgment, and good reason that he is known as the weeping prophet (Jer 9).